Journey through mystical worlds with Jenni the Genie and her companion, Trix the Fox, to crush the thieves that have stolen the Palaces riches. Swap, match, and crush gems, recover ancient relics, and collect gold bars and enchanted keys on this oneofakind enchanted exploration! 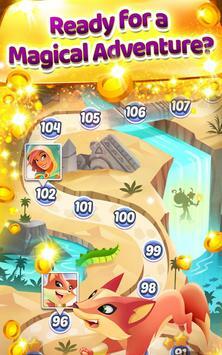 Collect keys to unlock new worlds and crush challenges! 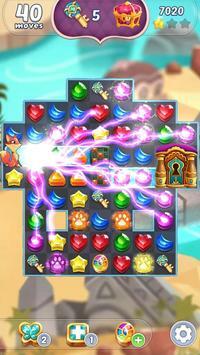 Use exciting powerups the Gilded Rainbow or Gilded Butterfly to swiftly advance through challenging levels! 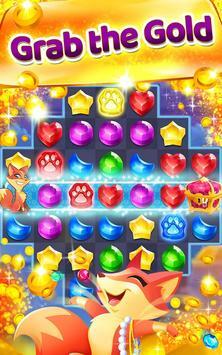 Please review Genies and Gems Jewel and Gem Matching Adventure Game and submit your comments below. We will collect all comments in an effort to determine whether the Genies and Gems Jewel and Gem Matching Adventure app is reliable, perform as expected and deliver the promised features and functionalities.